This Book is called Deuteronomy, which signifies a second law, because it repeats and inculcates the ordinances formerly given on Mount Sinai, with other precepts not expressed before. 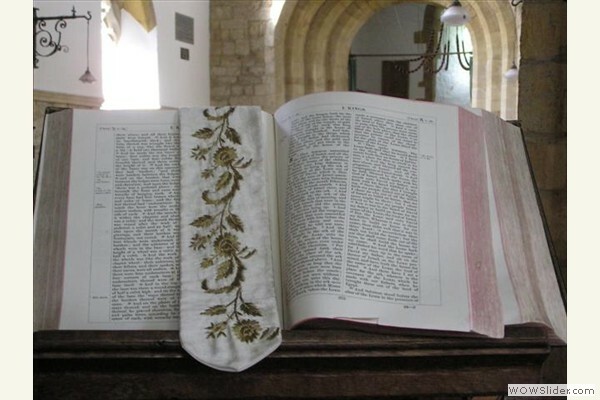 The Hebrews, from the first words in the Book, call it Elle Haddebarim. Ch. --- It may be divided into many discourses, which Moses made to the people during the last two months of his life. H. --- The first was delivered by him on the first day of the eleventh month of the fortieth year, since the deliverance of the Hebrews out of Egypt, and relates various particulars which had occurred to them. In C. iv. 41, and seq., and a supplement from the Book of Numbers is given to this discourse. C. v., a fresh exhortation to the people commences, which continues till C. xxii., where the famous blessings and maledictions, from the mountains of Garizim and Hebal, are related. In the following chapters, Moses exhorts the people, in the most pathetic manner, to be faithful to the Lord, adding the strongest threats and promises to enforce their compliance; and having appointed Josue to succeed him, and repeated that beautiful canticle which God ordered them to write, (C. xxxi. 19,) he gives the Book of Deuteronomy, to be kept with care, (v. 9,) blesses the tribes like a good and tender father, and gives up his soul to God on Mount Nebo in the 120th year of his age. C. --- There can be no doubt but that Moses was the author of this book, as well as of the four preceding ones; though the last chapter may, perhaps, form a part of the Book of Josue, which formerly was written immediately after the works of Moses, without any such marks of distinction as we find at present. The whole Bible seemed to make but one verse. How easily, therefore, might the account of the death of Moses be taken in, as forming a part of the Pentateuch, when the different books came to be distinguished by separate titles! Such an insertion cannot hurt the general claim of Moses to be the author of the Pentateuch; or, if it should be thought to do so, no absolute proof can be brought to shew that he did not write this chapter also, by the spirit of prophecy. All the people spoke to Esdras, the scribe, to bring the book of the law of Moses, which the Lord had commanded, to Israel. The whole nation of the Jews has all along maintained, that Moses wrote these books: and he himself repeatedly asserts that he was ordered to leave on record many things of importance. Hence both internal and external evidence concur to establish his title to them; and if we be not disposed to cavil with all other authors, and to deny that Demosthenes, for example, Cæsar, and others, have written the works which bear their names, we must confess that the Pentateuch is to be attributed to the Jewish legislator. Yet if this were a matter of doubt, the things contained in these books could not, on that account, be controverted. How many anonymous works have been published which are of unquestionable authority! Many of the books of Scripture are of this nature. But as we have every reason to believe, that they have come down to us without any material corruption, and were written by people of veracity, by divine inspiration, they deserve to be regarded as authentic records. This is true, whether we speak of the originals or of the versions authorized by the Church; though it should suffice to stop the mouths of infidels, if we can procure an authentic history of the Bible by the collation of the different copies which are extant. Thus, where the Hebrew editions appear to be incorrect, they may receive great light from the Samaritan copy of the Pentateuch, and from the versions of the Sept., and of other respectable authors on the whole Bible. The variations, which we may discover, are not of such moment, but that, if the very worst copy were selected, we should find the same great outlines of Scripture history, the same precepts of faith and morality. The laws of Moses, which are scattered through his five books, may be seen all together in their natural order, collected by Cornelius a Lapide and Calmet. But the spirit of God was pleased to intersperse historical facts among them, which both shew the occasion on which they were given, and enable us to read them with greater pleasure and satisfaction. The four preceding books might be compared to the four Gospels; Deuteronomy represents the whole, (V. Bede) and may be styled a Diatessaron, as it recalls to our mind the great Creator of all things, who was about to fulfil the promises which he had made to the Patriarchs. Almost all those to whom Moses addresses himself, had been unborn or very young, when their parents received God's commands at Sinai, and wandered in the desert. He therefore gives them an account of what had happened during the last eventful period of forty years. He shews what had brought on so many disasters, and cautions his hearers, that if they imitate the perfidy of their fathers, as he foresees, with sorrow, that they will, (C. xxxi.) they must expect to be treated with no less severity. This prediction we behold verified, at the present day, in the persons of the scattered remnants of Israel. How sublime! how terrifying are the truths which Moses enforces with so much earnestness! The same threats which he denounces against the perfidious Jews, regard us in some measure. If we feel not their effects at present, in being driven out from our country, we have more reason to fear lest we should be excluded from our heavenly inheritance, if we do not repent. H.